This stylish vintage inspired houndstooth checked coat is a great look this season; it will instantly add edginess to your daywear style for a super cool look and will also team nicely with anything. This vintage inspired design is a classic houndstooth check pattern that is super popular right now and is a design that will come back year after year and will never date. The classic cut is distinguished by the a-line, flat front and midlenght shape, and is designed for adding a stylish flair to your style whilst maintain a practical comfort. A single button fasten, two front pockets and a beautiful tailored collar completes a stylish appeal! 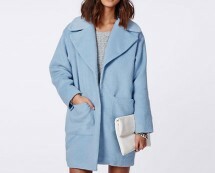 For tip top up to the minute style this season team this winter jacket with skinny denims and flat boots for cool casual style or pop over work clothes for some vintage glam. 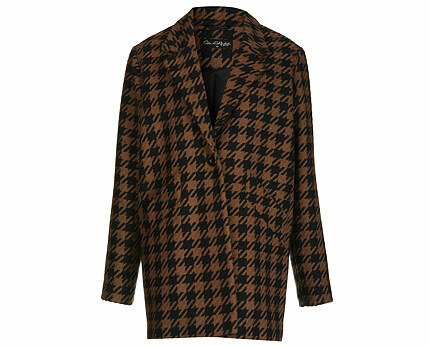 You heard it here first houndstooth coats are stylish comeback right now!